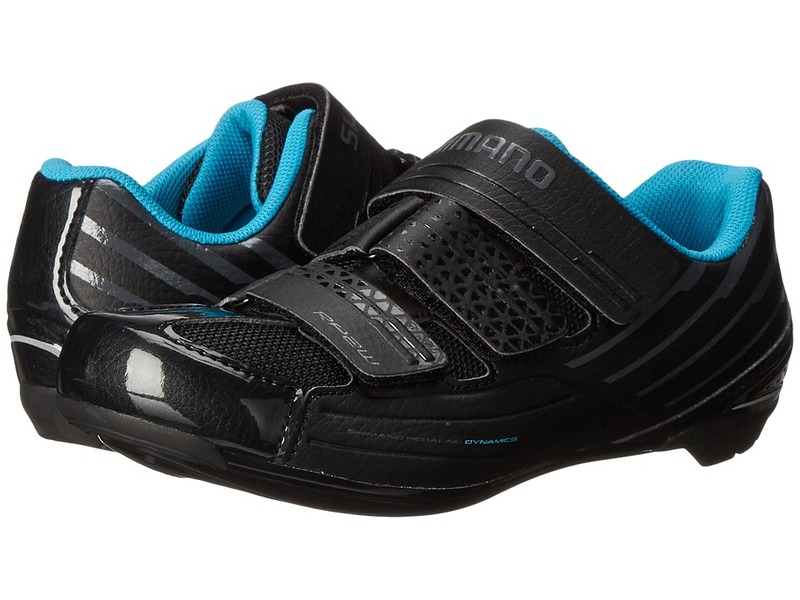 Get your feet wet by strapping into the Shimano SH-RP200 cycling shoe. Ideal for club and entry-level cyclists. Cleats not included. Tough, stretch-resistant synthetic leather and mesh upper materials. Three adjustable hook-and-loop straps allow for a precise fit. Off-set strap helps alleviate pressure points. Lightly padded collar. Breathable fabric lining offers a great next-to-foot feel. Removable foam insole. Glass fiber reinforced nylon outsole with mud-shedding polyurethane lugs. 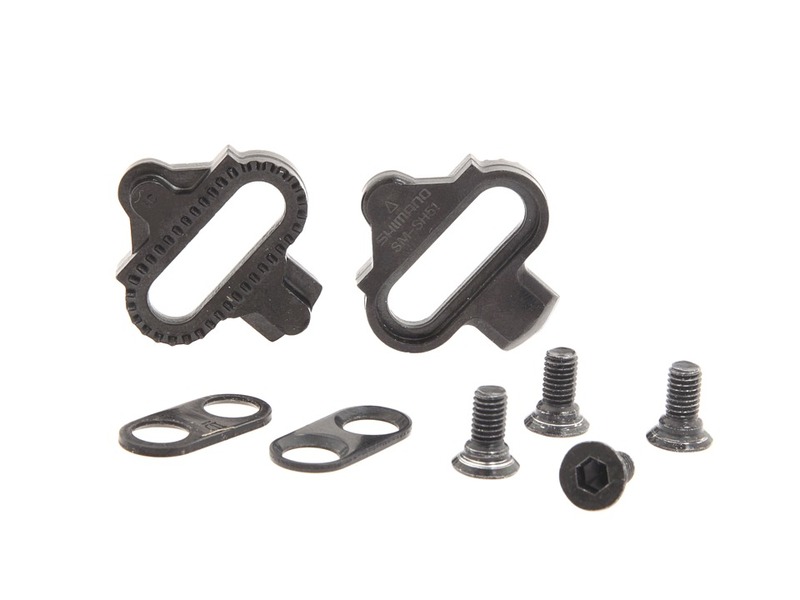 SPD (two-hole design) and SPD-SL (three-hole design) cleat compatible. Best matched with PD-R550, PD-R540, PD-540-LA, PD-A520 pedals. SPD pedals can only be used with SPD cleats and adapter. Imported. Measurements: Weight: 12 oz Product measurements were taken using size 46 (US Men~s 11.2), width Medium. Please note that measurements may vary by size. Weight of footwear is based on a single item, not a pair. 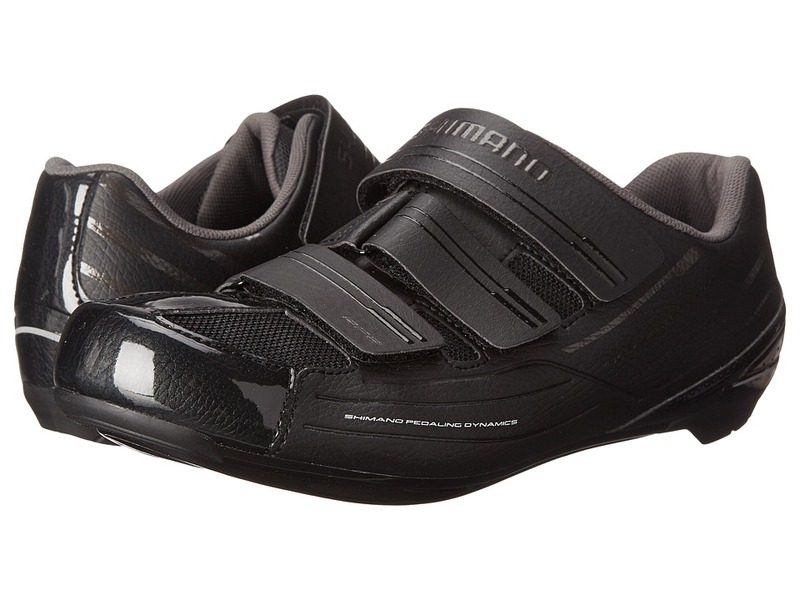 Get your feet wet by strapping into the Shimano SH-RP200 cycling shoe. Ideal for club, entry-level cyclists, and indoor cycling. Cleats not included. Tough, stretch-resistant synthetic leather and mesh upper materials. Three adjustable hook-and-loop straps allow for a precise fit. Off-set strap helps alleviate pressure points. Lightly padded collar. Breathable fabric lining offers a great next-to-foot feel. Removable foam insole. Glass fiber reinforced nylon outsole with mud-shedding polyurethane lugs. SPD (two-hole design) and SPD-SL (three-hole design) cleat compatible. Best matched with PD-R550, PD-R540, PD-540-LA, PD-A520 pedals. SPD pedals can only be used with SPD cleats and adapter. Imported. Measurements: Weight: 8 oz Product measurements were taken using size 36 (US Women~s 5.1), width B - Medium. Please note that measurements may vary by size. Weight of footwear is based on a single item, not a pair. 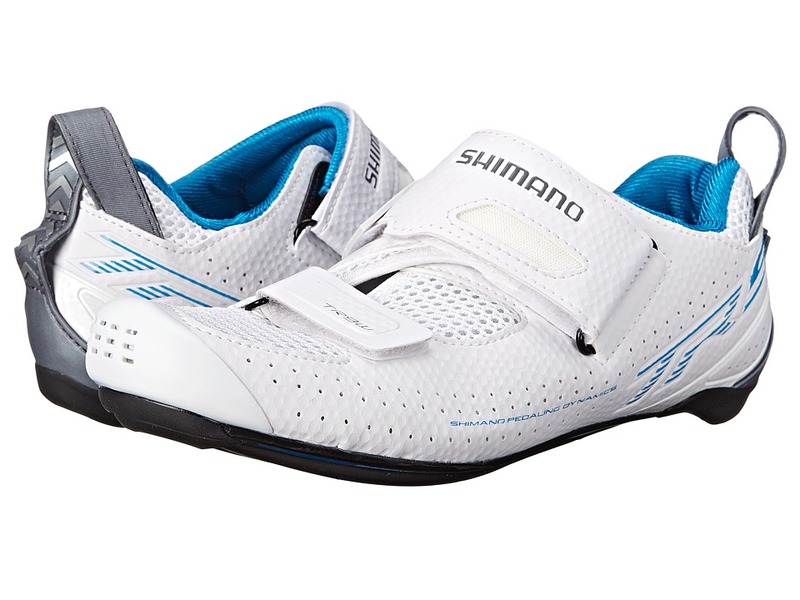 Whether you~re hitting the road or the gym, power through each mile with comfort in the Shimano SH-RP300 cycling shoe. Ideal for club or recreational cycling. Cleats not included. Tough, stretch-resistant synthetic leather and mesh upper materials. Micro-adjust buckle and dual hook-and-loop straps ensure a great fit. Two adjustable hook-and-loop straps allow for a precise fit. Off-set strap helps alleviate pressure points. Lightly padded collar. Breathable fabric lining offers a great next-to-foot feel. Removable foam insole. Glass fiber reinforced nylon outsole. SPD (two-hole design) and SPD-SL (three-hole design) cleat compatible. Best matched with PD-R550, R540, PD-540-LA, PD-A520 pedals. SPD pedals can only be used with SPD cleats and adapter. Imported. Measurements: Weight: 11 oz Product measurements were taken using size 40 (US Women~s 7.8), width B - Medium. Please note that measurements may vary by size. Weight of footwear is based on a single item, not a pair. 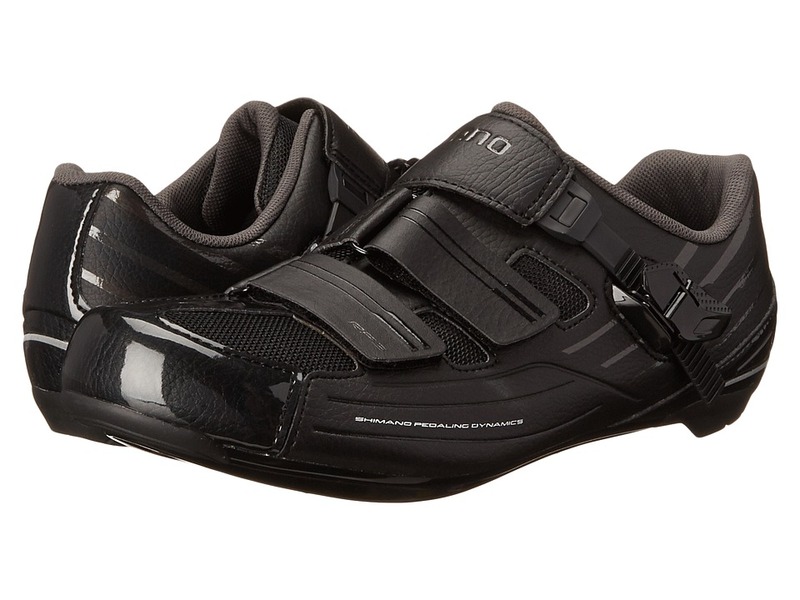 When each second counts find the strength to overtake the pack in the Shimano SH-TR900 triathlon cycling shoe. Cleats not included. Designed for the female triathlete. Breathable 3D-mesh and synthetic leather upper materials. T1-Quick strap and extra wide collar allows for easy entry and speedy transitions. Dual hook-and-loop straps. Anatomical toe cap with air intake that helps maintain rigidity and ventilation. Asymmetrical heel pull for easy on and off. Slightly padded tongue and collar. Soft fabric lining offers a great in-shoe feel. Lightweight foam insole. Lightweight, very stiff carbon fiber composite sole delivers efficient power transfer. Rubber toe and heel on outsole. Women~s-specific design for a better fit and feel. SPD-SL (three-hole design) cleat compatible. Best matched with PD-9000 pedals. Imported. Measurements: Weight: 10 oz Product measurements were taken using size 40 (US Women~s 7.8), width B - Medium. Please note that measurements may vary by size. Weight of footwear is based on a single item, not a pair. 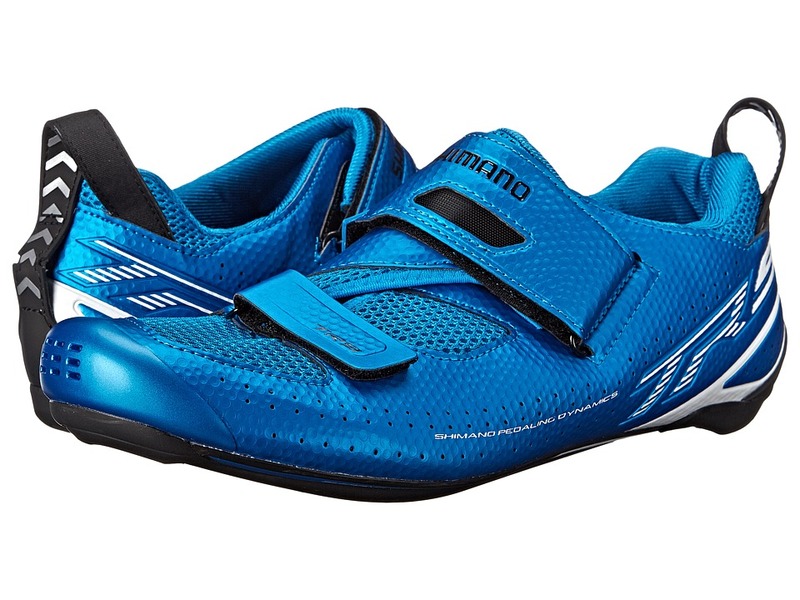 When each second counts find the strength to overtake the pack in the Shimano SH-TR900 triathlon cycling shoe. Cleats not included. Designed for the female triathlete. Breathable 3D-mesh and synthetic leather upper materials. T1-Quick strap and extra wide collar allows for easy entry and speedy transitions. Dual hook-and-loop straps. Anatomical toe cap with air intake that helps maintain rigidity and ventilation. Asymmetrical heel pull for easy on and off. Slightly padded tongue and collar. Soft fabric lining offers a great in-shoe feel. Lightweight foam insole. Lightweight, very stiff carbon fiber composite sole delivers efficient power transfer. Rubber toe and heel on outsole. SPD-SL (three-hole design) cleat compatible. Best matched with PD-9000 pedals. Imported. Measurements: Weight: 13 oz Product measurements were taken using size 48 (US Men~s 12.3), width Medium. Please note that measurements may vary by size. Weight of footwear is based on a single item, not a pair. 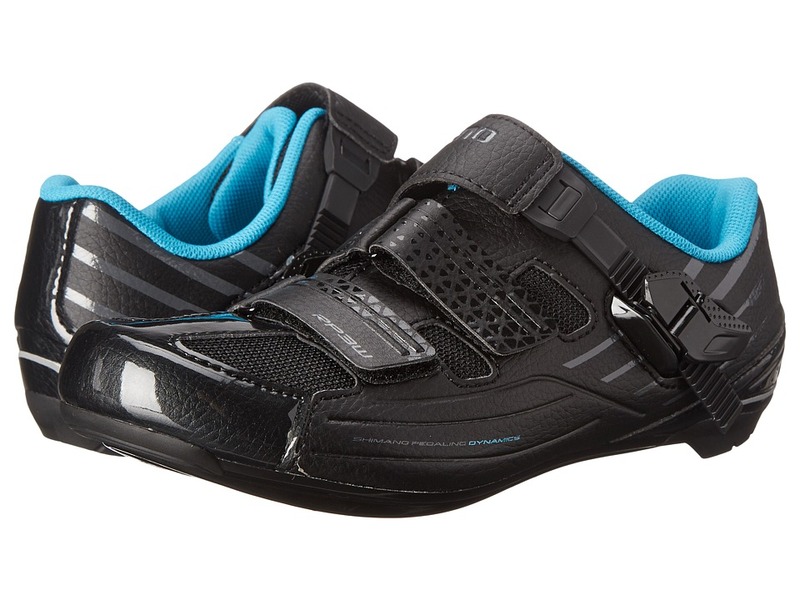 Whether you~re hitting the road or the gym, power through each mile with comfort in the Shimano SH-RP300 cycling shoe. Ideal for club or recreational cycling. Cleats not included. Tough, stretch-resistant synthetic leather and mesh upper materials. Micro-adjust buckle and dual hook-and-loop straps ensure a great fit. Two adjustable hook-and-loop straps allow for a precise fit. Off-set strap helps alleviate pressure points. Lightly padded collar. Breathable fabric lining offers a great next-to-foot feel. Removable foam insole. Glass fiber reinforced nylon outsole. 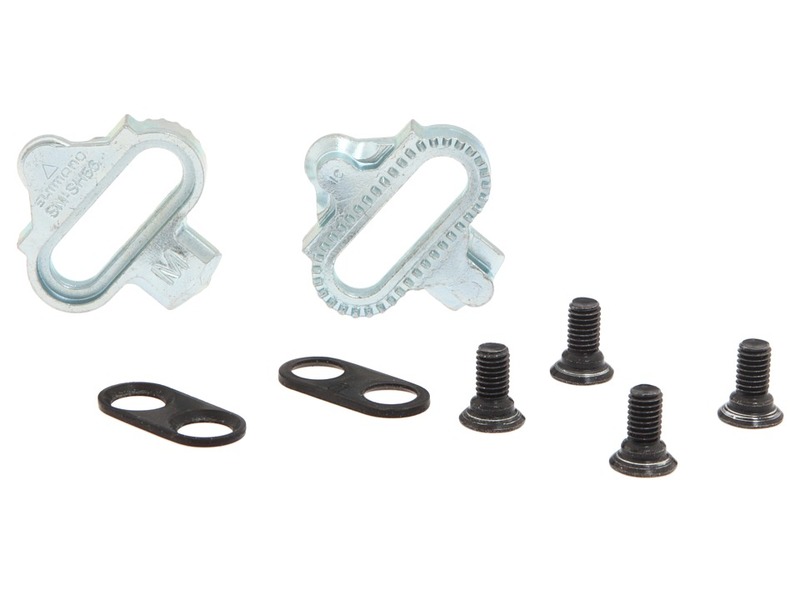 SPD (two-hole design) and SPD-SL (three-hole design) cleat compatible. Best matched with PD-R550, R540, PD-540-LA, PD-A520 pedals. 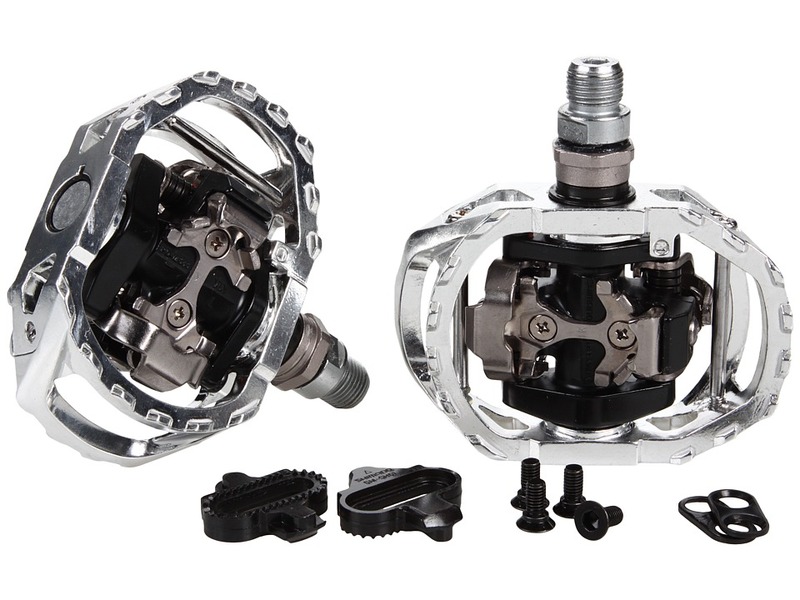 SPD pedals can only be used with SPD cleats and adapter. Imported. Measurements: Weight: 12 oz Product measurements were taken using size 46 (US Men~s 11.2), width Wide. Please note that measurements may vary by size. Weight of footwear is based on a single item, not a pair.